The North Valley is one of the more distinctively New Mexican parts of the city. The interesting juxtaposition of rural neighborhoods, open space, luxury homes, older affordable neighborhoods and newer, gated subdivisions is unique. Close to downtown and Old Town and positioned in the center of the city, it's also a very convenient area to live in. Each of the three north valley areas is briefly described below. 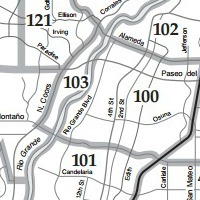 You'll find more information on each area when you click on the title of each area. 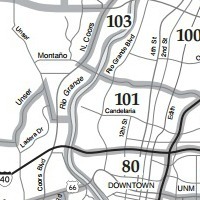 The Near North Valley is located between I40 and Montano from the Rio Grande to I25. There is a wide variety of housing available in the area from townhomes and condos to luxury homes. Popular attractions in the area include La Montanita Co-op, the Flying Star Cafe on Rio Grande, and the Rio Grande Nature Center State Park. 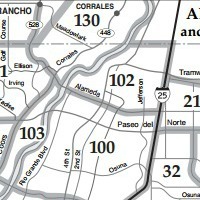 Dietz Farms, Dietz Acres, Los Duranes and Thomas Village are a few of the neighborhoods in the Near North Valley. View Near North Valley Homes for Sale. The North Valley MLS Area stretches from Montano Blvd north to Alameda Blvd between I25 and the Rio Grande. Los Ranchos de Albuquerque is located in this area, and the drive up Rio Grande Blvd is one of the most beautiful in the metro area. You'll see some of Albuquerque's more stately luxury homes on large acreage including horse properties and stables. Nestled within this MLS area is the Village of Los Ranchos de Albuquerque. Los Poblanos open space is located here, as well as the Bachechi open space and Casa Rondena Winery. The Los Ranchos growers market is a popular Saturday morning attraction for residents of the north valley and other areas as well. The Far North Valley, nestled against the Rio Grande at the north end of the city, offers the beauty of the grand cottonwood trees and elegant estate homes. El Pinto, one of the more popular restaurants with local and tourists is in the area, and the Village of Corrales NM lies right across the Rio Grande. The majority of school age children in the north valley attend Valley High School or Taylor, Taft and Garfield middle schools.